The Yuvajana Shramika Rythu Congress Party (YSRCP) has kicked-off the one-month long mass outreach campaign "Ravali Jagan" in across all the 175 Assembly Constituencies in Andhra Pradesh. All the 175 assembly coordinators across the state started booth visits in their respective constituencies. The coordinators have started conducting meetings with the booth conveners and committee members. After the booth level meetings, assembly constituencies coordinators were involved in door-to-door campaigning in respective booths, followed by holding a public meeting in the village. The coordinators have to cover a minimum of two booths per day. The assembly constituencies' coordinator, booth committee In-charge, Mandal president, Mandal booth committee in-charge, booth conveners and committee members were present in the booth committee meetings. The coordinators explained the electoral revision process and started assigning 30 houses to each booth committee member. The YSRCP has constituted a 20-member booth committee across booths in Andhra Pradesh. "Every Assembly coordinator will conduct door to door campaign to identify the problems of the people and also to exhibit the failures of the Telugu Desam Party (TDP) government and strengthen the party at the grassroots level," YSRCP supremo Jaganmohan Reddy had said in a meeting on September 11 to its party leaders. During the public address, the coordinators have explained the benefits of "Nava Rathnalu" schemes; Jaganmohan Reddy's Praja Sankalpa Yatra and spoke about local issues affecting the public in the area. They also highlighted the failures of Andhra Pradesh Chief Minister N Chandrababu Naidu's government including the defeat in securing special category status to Andhra Pradesh, farm loan waiver, one job per household, housing to poor, women safety in Andhra Pradesh, rising crime rate and the rampant corruption in the state. Addressing "Ravali Jagan" launch in Panyam, State General Secretary Katasani Ram Bhopal Reddy came down heavily on Naidu for his utter failure to implement various promises made during 2014 polls. "Though four years have passed, Naidu never cared to implement the promises. The public is not happy with Chandrababu Naidu ruling as the schemes are not reaching the poor and eligible. It is only Jagan who can do justice for Andhra Pradesh. Janmabhoomi committees are cheating poor people by not giving the schemes to the eligible. 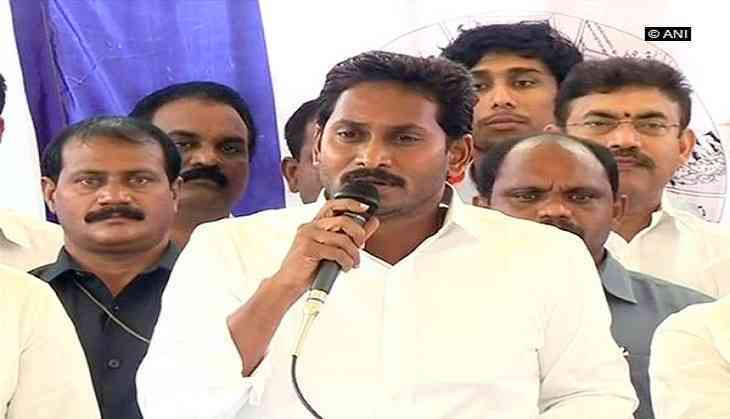 Jagan Mohan Reddy's ruling will not have any discrimination between poor and rich all will be treated same," he said. "Ravali Jagan" campaign aims at ensuring and strengthening the YSRCP at the booth level in the state.